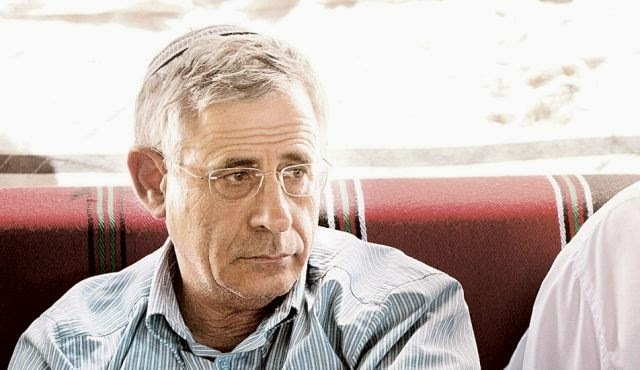 The Zionist Federation both nationally and in Brighton, together with the Sussex Friends of Israel, have invited Professor Mordechai Kedar of Bar Ilan University to Speak at Ralli House, Brighton at 7.00 p.m. Monday 8th December 2014 . KEDAR believes that the mothers and sisters of 'terrorists' should be raped as a deterrent. 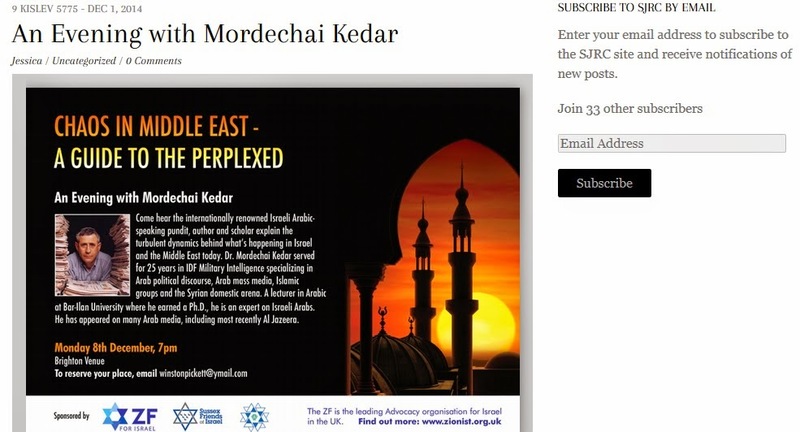 'Professor' Kedar called for the sisters or mothers of 'terrorists' to be raped as a deterrent. Leaving aside the fact that 2,000 Gazan civilians, including over 500 children, were murdered by Israeli bombing during the summer. The idea that someone’s sister or mother should be raped as a deterrent or punishment is so abhorrent that it defies comprehension. This Nazi style pronouncement is just one of the barbarous and misogynist announcements of the settler and religious right in Israel today. It follows the pouring of petrol inside the mouth of a boy aged 16 because 3 settler teens were kidnapped and killed, as if one in any way justified the other. It comes as a reign of terror is being instituted by settlers, with the support of the Israeli army, across the West Bank. Israeli Arabs are also now being killed regularly by the Police on demonstrations, whereas Jewish demonstrators are never met with live bullets. 'The only thing that deters a suicide bomber is the knowledge that if he pulls the trigger or blows himself up, his sister will be raped,' says Bar-Ilan University professor.